Precious metals-focused Mandalay Resources has locked down C$43 million through a public offering to help boost its working capital. Mandalay Resources (TSX:MND,OTCQB:MNDJF) has locked down C$43 million through a public offering to help boost its working capital. The company originally announced its fundraising intentions on Monday (February 11), voicing the intention of raising up to C$60 million. This was to be through a public offering of up to C$50 million, along with a US$8-million convertible bridge loan. However, on Tuesday (February 12), Mandalay announced it would sell over 358 million subscription receipts for C$0.12 a piece, bringing in C$43 million alongside the US$8-million bridge loan. 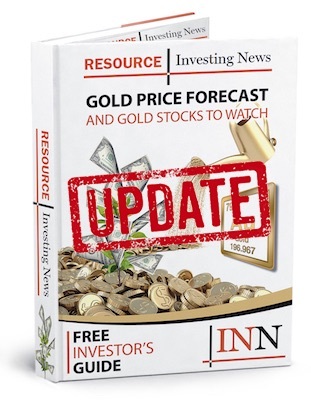 The company said the funds will go towards capital requirements such as development work at its Costerfield gold-antimony mine in Victoria, and tailings upgrades and other requirements at the Björkdal gold mine in Sweden. Mandalay also has assets in Chile, with its primary focus being on precious metals gold and silver. But Costerfield stands out from the crowd with its antimony component. A gray metalloid, antimony can be used in alloys in batteries, with antimony compounds helping make flame-proof materials and enamels. The money raised will also help with debt reduction and future exploration activities at Costerfield’s Youle lode and Björkdal’s Aurora zone, as well as general corporate purposes. “This financing gives Mandalay the financial flexibility it needs to not only address short term liquidity requirements but also to maintain and grow the business,” Mandalay President and CEO Dominic Duffy said in Monday’s statement. Mandalay ran into a few financial snags during 2018’s fourth quarter, including spending US$3.8 million more than forecasted at Björkdal and operational underperformance at the same asset, resulting in a cash shortage of US$4.6 million. Mandalay’s share price was up 4.55 percent, hitting C$0.115 on the TSX on Wednesday (February 13) as of 10:10 a.m. EST.